The idea of the design was to create a platform which gives users several tools regarding their hair and beauty lifestyle. 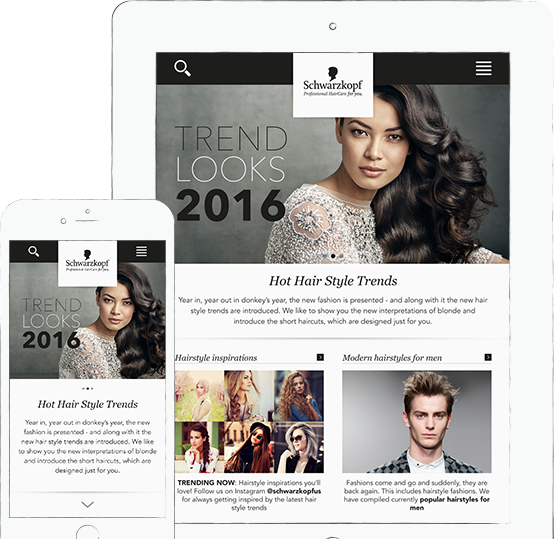 Therefore, we combined all Schwarzkopf tools in one responsive website. 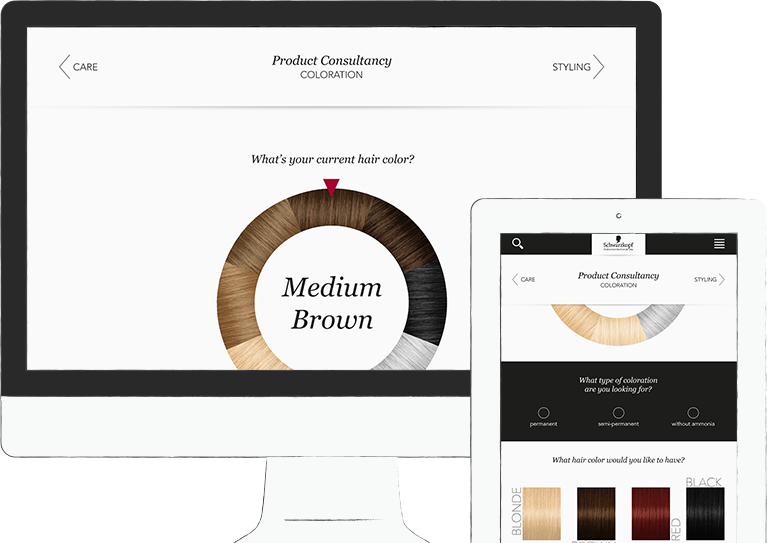 The all-in-one package included a web based version of the „Schwarzkopf App“ from 2016, a big „Brands & Products“ section integrating all Schwarzkopf brands and their products, an optimized version of the hair consultancy tool, which was already part of the existing Schwarzkopf website and a new version of the international „Schwarzkopf VIP Tester Facebook App“. A blog and a big, personalizable lifestyle section have been part of the pitch concept as well. The first big idea of the concept: a completely customizable home page of the website. Therefore users should have get the opportunity to create an account and then filter their home page by what they are interested in. Planned content e.g. was the already existing lifestyle news section, such as an Instagram feed with fresh new hair styling inspirations. All brands, all products – at only one place! Schwarzkopf as an umbrella brand contains many different sub brands which all got an own website, presenting their products. 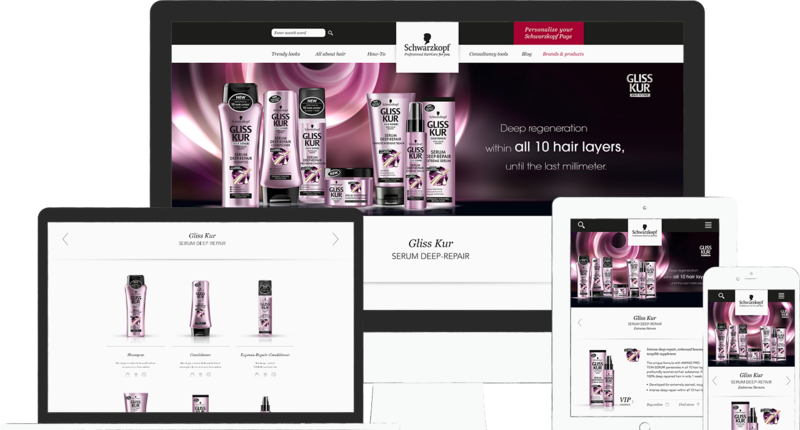 To give users a better view and a much easier e-buying option for all those products, we created a brand integration which adapted all brands and their specific CI perfectly into the CI of the new Schwarzkopf page. Next step on our „all-in-one mission“: The Schwarzkopf App, which has been developed by Recordbay in cooperation with me, as well. 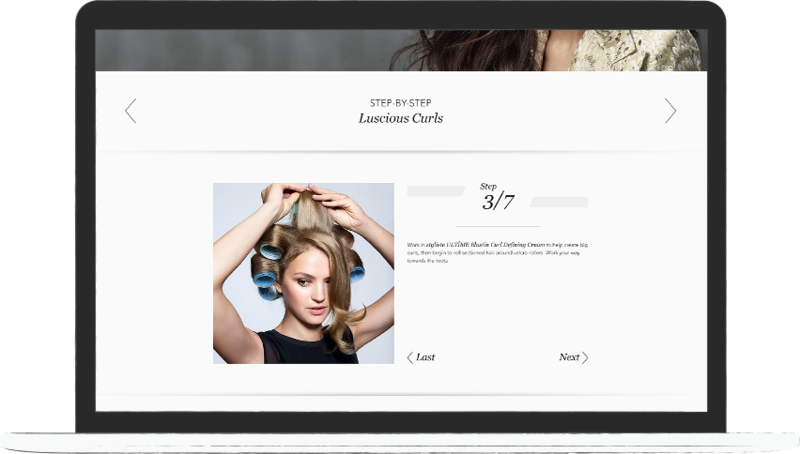 The new website concept came up with an adapted web version of the tutorial section, including all hair styles known from the app. Restyle your favorite Schwarzkopf style – at home! A smaller but yet more complicated consultancy section was already part of the existing website. To simplify usability and optimize design, we completely renewed the older tool and created a big and impressive, powerful and easy to use consultancy tool. What do you think about products of Schwarzkopf and it’s brands? To complete the all-in-one package the new website concept also included a renewed and optimized version of the already known „VIP Product Tester“. 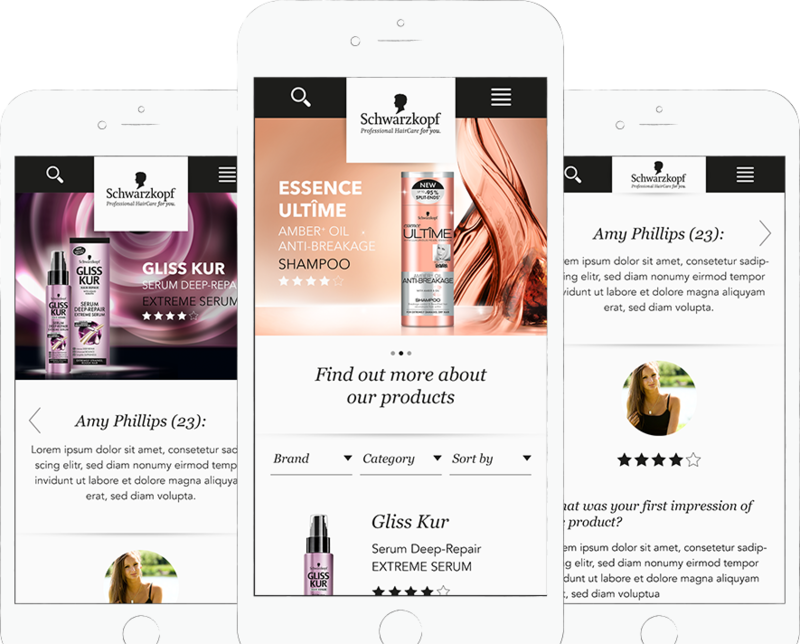 Users should have been able to create a separate account, get new, unreleased products of Schwarzkopf and it’s brands to test them and then publish a review, telling what they think on the received product. The idea of the concept was the one of the director of the last agency I’ve been employed at. When he told me, I was absolutely excited and loved the idea of one big customizable platform with all tools of the customer, including all those I’ve personally been working on during the past years. It was a kindly part of work, seeing and reworking those tools and to combine them all in one website. Besides, I personally love the style of the design and have been a little bit sad when the customer told us, they would charge another agency with the relaunch. Nevertheless, I also like the design of the current new Schwarzkopf website, even though it is a completely different one than we would have recommended and preferred.